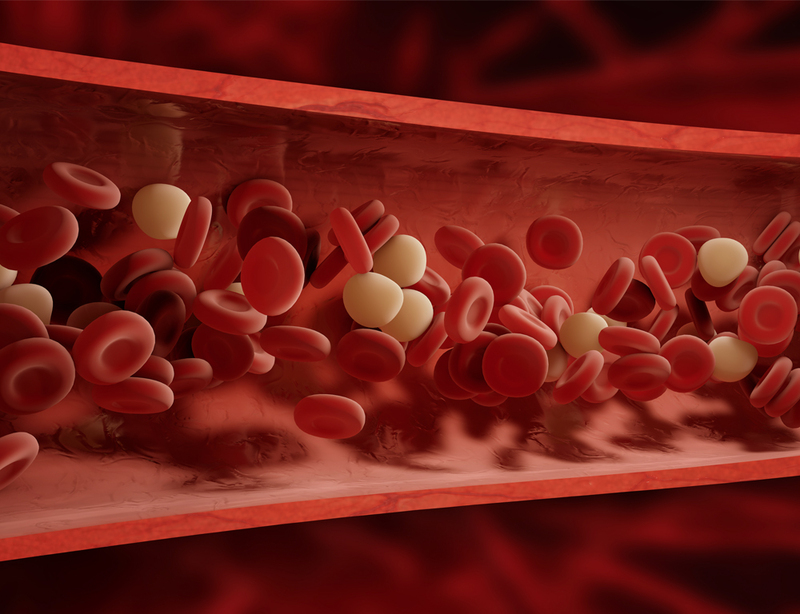 When people talk about blood clots, they usually aren’t referring to whether their skinned knee will clot before the blood soaks through their Band Aid. That’s the good side of clotting. Deep vein thrombosis, or DVT, however, is the bad side. Those are the types of clots that can form in blood vessels of the arms or legs. Sometimes they can travel to the lungs, creating serious complications or even death. DVT develops when you don’t move for long periods of time, or if there is an injury to the blood vessels. Some people have thicker blood due to genetics, and can be more prone to blood clots because of that. These days, lengthy travel is a common cause of blood clots because it involves sitting for hours at a time without moving. Those who have surgeries that require them to be immobile for some time afterward are also at higher risk of developing DVT. A family history of blood clots or a personal history of hormone issues – which can result from pregnancy, aborted pregnancies, oral contraceptives or other hormonal treatments – also predisposes people to the condition. Dr. Faisal Aziz, interim chief of the Division of Vascular Surgery at Penn State Health Milton S. Hershey Medical Center, said the first signs of a clot are usually leg swelling or pain. Sometimes, patients attribute those signs to other problems – as swollen legs can indicate increased salt or water intake, and leg pain may be the result of a recent trauma. Either way, the message is the same – get medical attention. “Even if it is something that is not acute and life threatening, you should see a doctor anyway, because if it’s a true clot and gets overlooked, that can be dangerous,” he said. These blood clots can travel from the legs to the lungs, creating a condition known as pulmonary embolism, which can cause sudden death. Chest pain and shortness of breath are signs that may have occurred, so it’s important to call 911 immediately if such symptoms develop. “If a blood clot is diagnosed quickly, it can be treated very quickly,” Aziz said. If not, and the patient survives, the clot may never completely dissolve, resulting in pulmonary hypertension, a serious, chronic condition in which the blood vessels in the lungs get very narrow, increasing the pressure in the pulmonary veins. Those who don’t receive timely and complete treatment for leg clots may also develop chronic leg swelling that eventually results in discoloration of the calves and possible wounds that do not heal. “They aren’t life threatening, but they make your life miserable and limit your quality of life,” Aziz said. Aziz said the first-line treatment for blood clots is to prescribe blood thinners, which prevent clots from increasing in size, and that the sooner such medications can be started, the better. When surgery is recommended, doctors often can go in through blood vessels in the groin and inject clot-busting drugs or devices directly into the blood vessels to break large clots into smaller ones. “If we can completely dissolve them, we can prevent hypertension and save lives,” Aziz said.